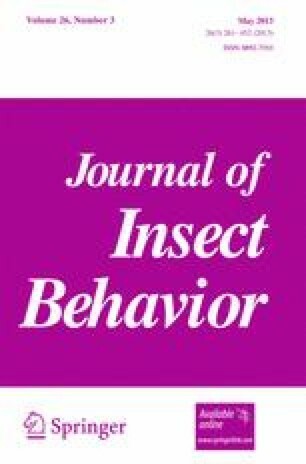 We used computer-generated stimuli to assess the stimulus parameters eliciting prey-directed behaviors in four mantis species: Rhombodera basalis (60 mm body length), Deroplatys lobata (70 mm), Hierodula membranacea (80 mm), Miomantis sp (38 mm). All responded appetitively to erratically moving disks subtending 10° or more. R. basalis responded more consistently to checkered (versus solid black) disks; only D. lobata displayed a size preference (14–23 deg disks); Miomantis sp. struck at disks as large as did the largest species; only Miomantis sp. displayed approaching behavior. H. membranacea and R. basalis preferred black disks on a white background (versus the reverse), and red disks (versus blue or green) on a brightness-matched grey background. All preferred elongated stimuli moving parallel (versus perpendicular) to their long axes. We thank the Department of Biology and the NEIU Student Center for Science Engagement, an initiative of the U.S. Department of Education (CCRAA HSI P031C080027) for their support. In particular, we acknowledge the collegial help and support that we received from Dr. Marcelo Sztainberg, Dr. Stephanie Levi, and Marilyn Saavedra-Leyva. We also thank Zahra Hosseinian, Aissatou Diallo, and Annum Qureshi for collecting pilot data for the experiments on wavelength discrimination, and Dr. Shannon Saszik (Department of Psychology, NEIU) for her collaboration in designing and interpreting the results of that pilot data. We are also grateful to the journal editor, referees, and Dr. Aaron Schirmer for their thoughtful comments and suggestions all of which improved the manuscript. In all cases, the experimental animals were treated with the appropriate concerns and we operated in accordance within all applicable ethical and animal care guidelines. This work was supported by an SCSE Summer Research Opportunities Grant and an NEIU Research Community Grant to FRP.